I chose adoption for my son’s future many years ago. There wasn’t any support available to birth mothers back then. Birth Moms Today was created to offer support and encouragement to women facing an unplanned pregnancy. 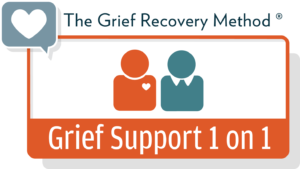 As a birth mom life coach and Certified Grief Recovery Specialist, I work diligently ensuring that a woman considering adoption for her child is presented with ALL available options and that she is equipped with what she needs to know to make the best choice for her and her child. I genuinely care about ensuring that all women considering adoption for their unplanned pregnancy, have access to someone who is on their team, lovingly working FOR THEM not working for the agency or adopting couple. But rather, another birth mother exclusively assisting her, who is concerned about her personal well-being as well as her child’s future. I’ve walked this path before and I can help you navigate your way too! Let’s do this together.